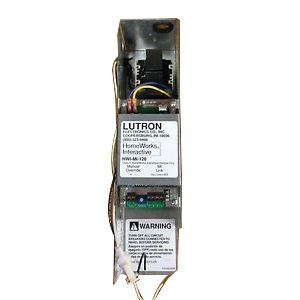 Lutron HomeWorks® Module interface has voltage rating of 120-Volt AC and power rating of 2-Watts at 50/60-Hz. It works with HW-RPM-4U dimming module, HW-RPM-4A adaptive dimming module, HW-RPM-4M motor module, HW-RPM-4FSQ fan speed module as well as HW-RPM-4R power relay module. The manual override input allows activation of predetermined lighting scene from designated override switches installed anywhere in the area. It measures 3-Inch x 3-5/8-Inch x 13-1/8-Inch. It withstands temperature range of 0 to 40 deg C. Module interface is UL listed and CSA/NOM certified.